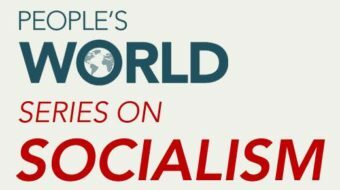 Socialism or barbarism in the 21st century? Rosa Luxemburg famously said the choice before humanity was "socialism or barbarism." 101 years later, the same stark option confronts us today. The impulse for large-scale, government-led democratic socialist reforms could produce the qualitative transformation Marx counted on. For the first time since the earliest human societies, people have finally started to practically work toward a social order not based on exploitation. The American people have been denied the right to discuss socialism in the public arena. Thanks to Bernie, that's changing. Since Marx and Engels pinned the adjective "scientific" to socialism, we have toggled between the burden of Utopia and the urgency of fighting for justice.